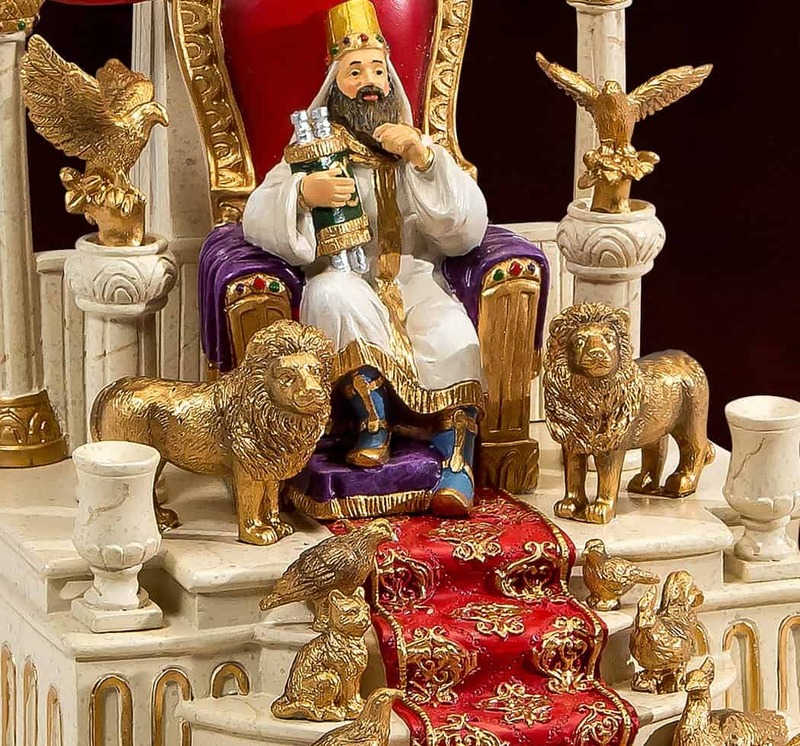 Midrash on the Megillah Comes To Life! 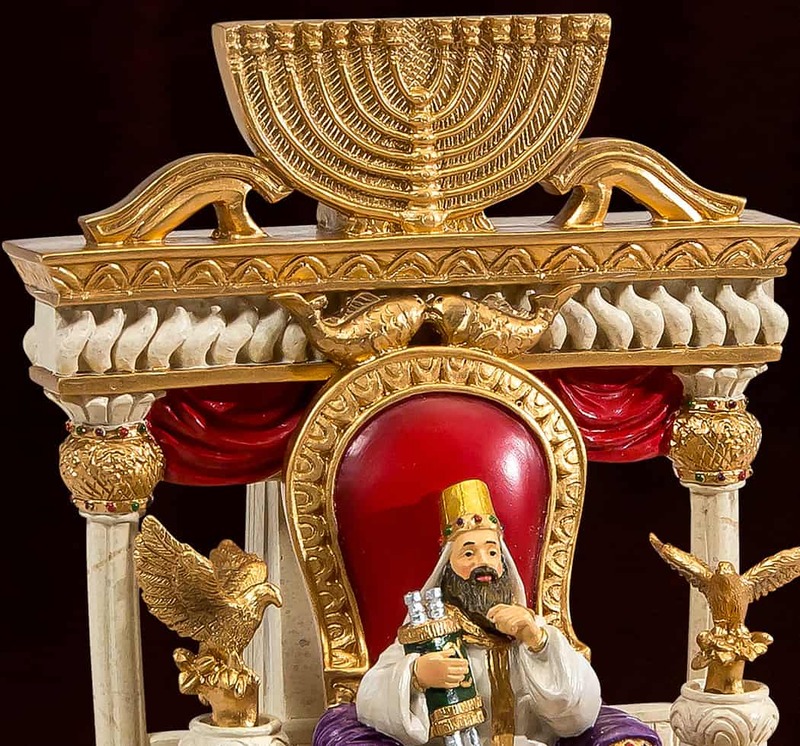 From the pages of the Midrash into your home, the story of Shlomo Hamelech’s throne unfolds with this magnificent hand-crafted replica. 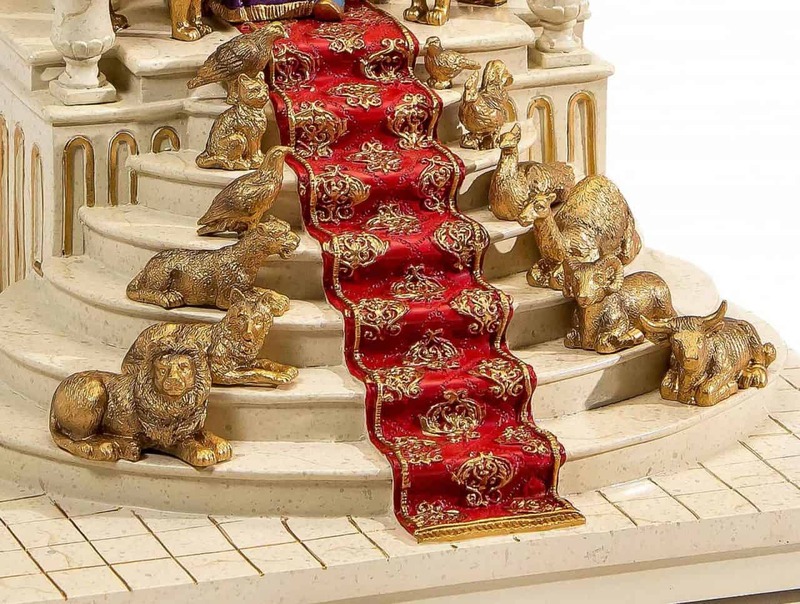 We explore the fascinating tale of King Achashverosh as he attempts to ascend the marble steps and claim it as his own. 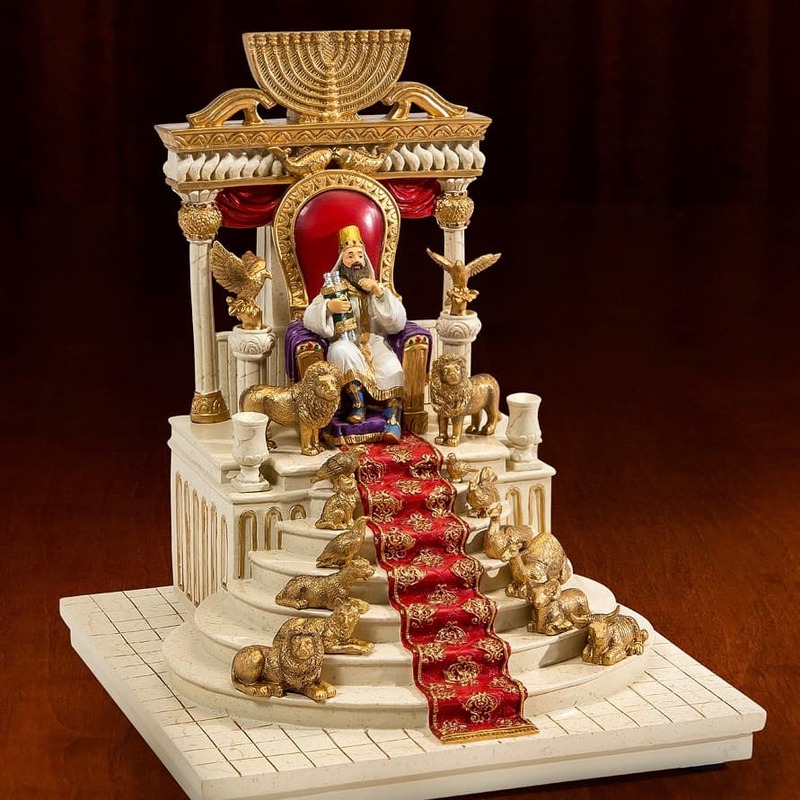 This limited-edition masterpiece is sculpted in exacting detail and comes with a written explanation of the midrash. 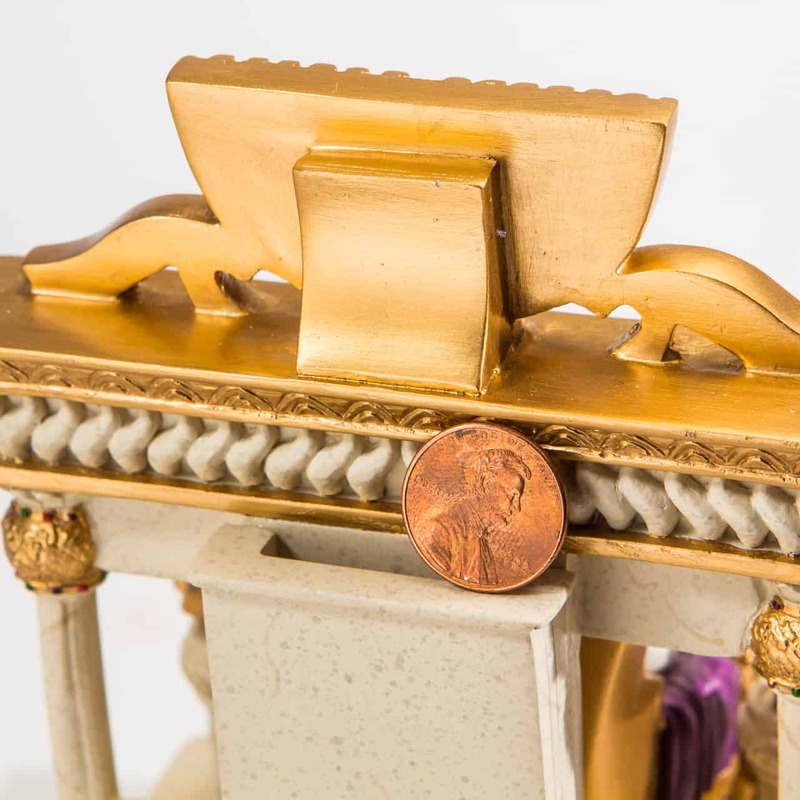 It is also a functional tzedakah box. 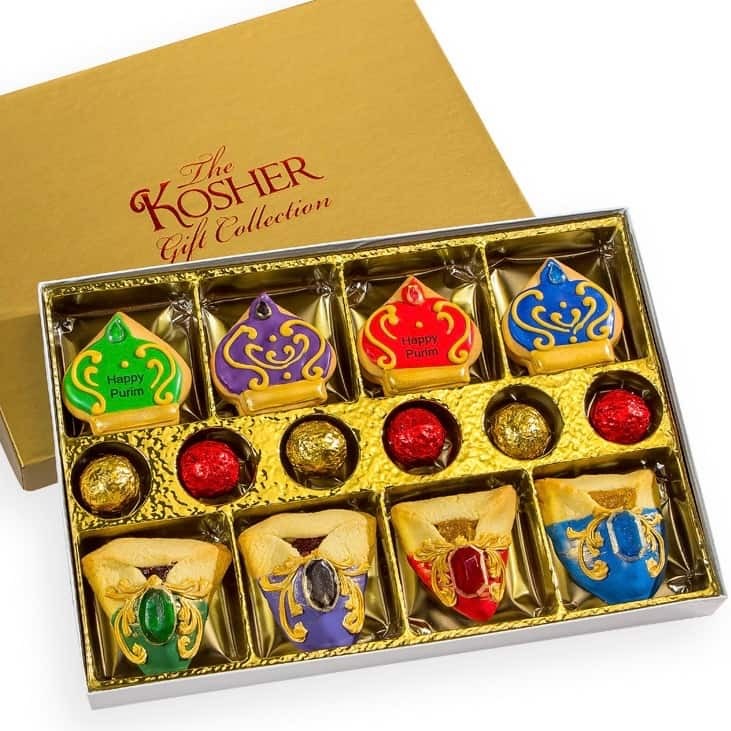 Arrives with a large gift box of Belgian chocolate truffles, artisan hamentaschen and crown cookies with glass-candy gemstones. All items in the gift box are under the CRC, Pas Yisroel, Yoshon and Parve. A sweet and smart gift!